I was recently asked to do an experiment, to find out the best mothers day spa treatments for combatting mum stress. In order to do such an experiment, I needed a way to measure “mum stress”… And guess what… there’s an app for that! I’m not talking about the stress of spending time with your mother – I’m talking about the every day stresses of motherhood! Personally, despite being a working mum of four, I don’t get stressed easily. At 21 I took to motherhood, like a duck to water. I felt like I was born to be a mum. My maternal instincts have been extremely strong since the moment I discovered I was pregnant with my first child. 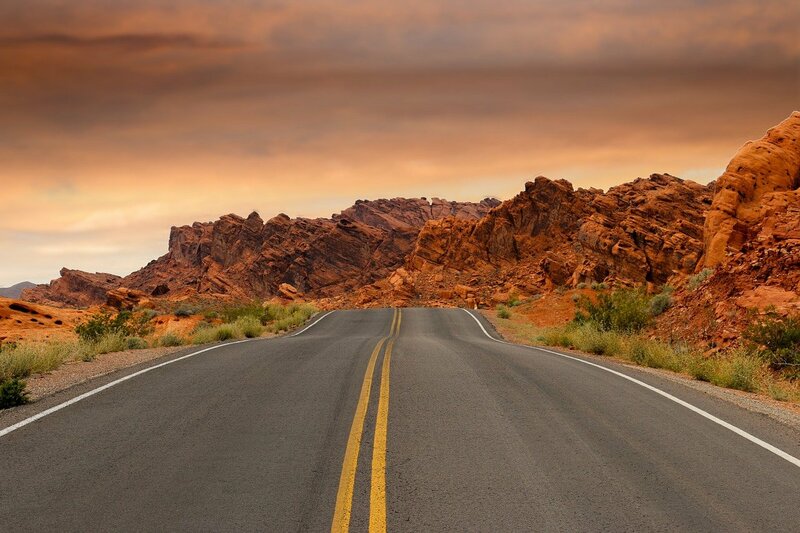 I’m also someone who has been through an awful lot in life. From life-threatening illnesses, to varying crises over the years. That means that I take things in my stride. I take stressful things one day at a time and refuse to let them bring me down. But EVERY mum, no matter how strong their resolve, no matter how patient, EVERY MUM faces stresses sometimes. For some mums it might be toddler tantrums, for some it might be the teenager answering back for the umpteenth time. It could be a huge pile of minor stresses adding up. It could be the 400th time you ask your children to put their shoes on for the school run. But we ALL face mum stress from time to time. Those situations are ones where I feel the most stressed within myself, although I’m not one to vent that stress in front of the children. So how do you relieve mum stress? Well writing is one way for me. My blog is my outlet and even sometimes writing posts which I don’t actually publish, can help immensely. 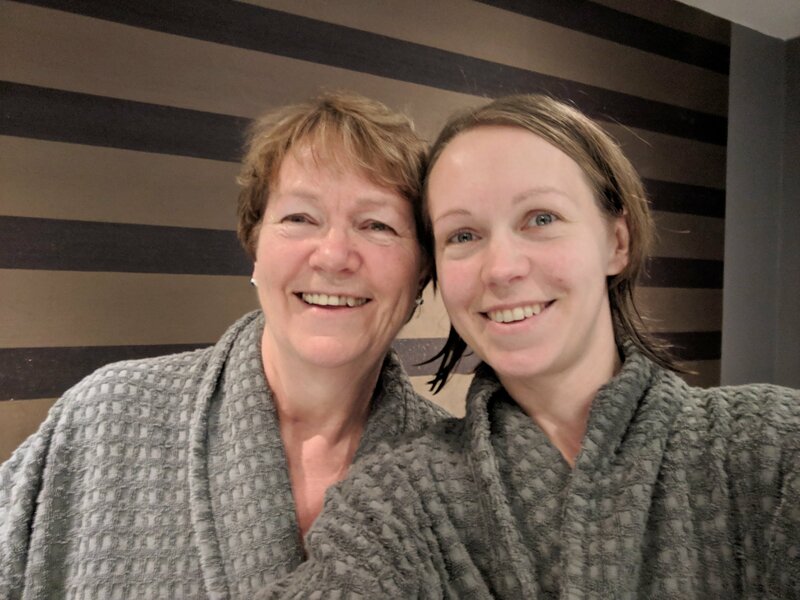 Buyagift offered me the chance to experience a spa day with my mum, in order to test which are the best spa treatments to combat mum stress. Buyagift is a great gift option in my opinion, because you can gift somebody an experience (such as a spa day) and they can choose where and when they redeem it. Mum and I chose to try out The Village Spa in Swindon. Included in our Buyagift package, was 3 spa treatments, a light lunch and full use of the facilities. I’ve blogged a full review of the village spa in Swindon, over on my travel blog. So the idea was to test my stress levels in some ordinary home situations and to test them between each treatment at the spa – and compare my results. 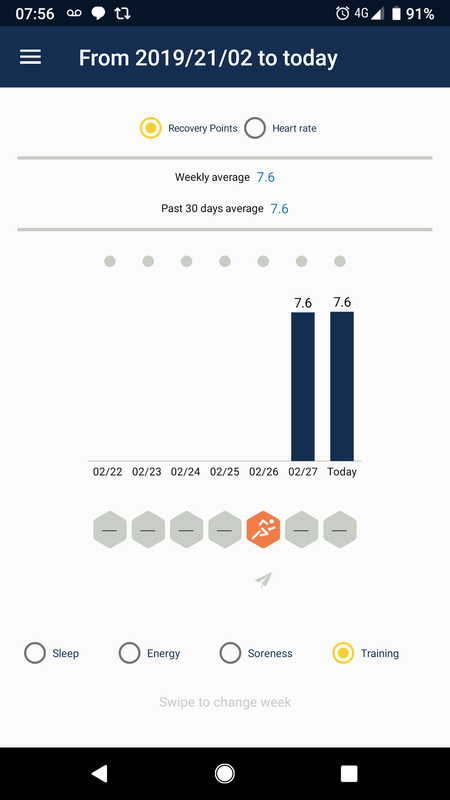 I used an app (supplied to me by Buyagift) called HRV4Training, which measures your heart rate variability. The app is primarily designed to help people with sports and fitness training, but it includes a stress indicator. Using your phones camera, it detects your heartrate and gives you a stress score based on “recovery points”. The lower the score, the more stressed your body is. The higher the score, the more relaxed you are. I took three test readings at times when I was fairly relaxed and I seemed to get readings of 7.6 recovery points each time and a resting heart rate of 70-74 beats per minute. So… My oldest daughter (11 going on 16) throwing a tantrum and answering back is probably my biggest stressor at home. My biggest source of mum stress. So after one of her tantrums, I whipped out my phone and took a reading. I got 7.3 recovery points. (As I mentioned – even when I’m stressed, I’m not hugely stressed in comparison with most people). On arrival at The Village Spa in Swindon for our spa day, my heart rate was 74 and my recovery points were 7.6. My first treatment was a back, neck and shoulder massage. I love massages and I think they have to be one of the single most relaxing things you can do. Mum had a massage too. We were side by side in a room with the two of us and two therapists. It was a thoroughly lovely massage, with calm relaxing music and wonderful aromatherapy scents. I couldn’t really fault it if I’m honest, other than the fact it seemed to be over too soon. After the massage, I scored a reading of 7.8 recovery points and a resting heart rate of 70 beats per minute. I was really surprised, that despite feeling thoroughly relaxed, I’d only gained 0.2 points. Onto the foot and ankle massage. I wasn’t so sure about this to be honest. There was a foot scrub which was nice. Hot cloths, which were also nice, but not really a great deal of massage and not much attention on my ankles. It actually scored me a 7.4 in recovery points, meaning it hadn’t relaxed me as much as the massage. My resting heart rate of 69 beats per minute. My last treatment was mini pedicure. By this point, I got the feeling that the therapist was rushing. For the mini pedicure, she literally just painted my toe nails. Nothing more. However, I was by this point, in a blissful, post-massage sense of mindfulness. The music was sending me into an almost-asleep meditation-like state. I scored 8 recovery points, with a resting heart rate of 65 beats per minute. What are the best spa treatments to combat mum stress? This experiment would lead you to believe, that a mini pedicure is more relaxing that a massage. And that a foot and ankle massage is only mildly more relaxing than my 11 year old throwing a tantrum. Therefore, having been there at the time, I’d have to conclude that this wasn’t particularly accurate. So which were the best spa treatments to combat mum stress? The back neck and shoulder massage, was without a doubt, the nicest and most relaxing of all the treatments. I’d rank the foot and ankle massage second. 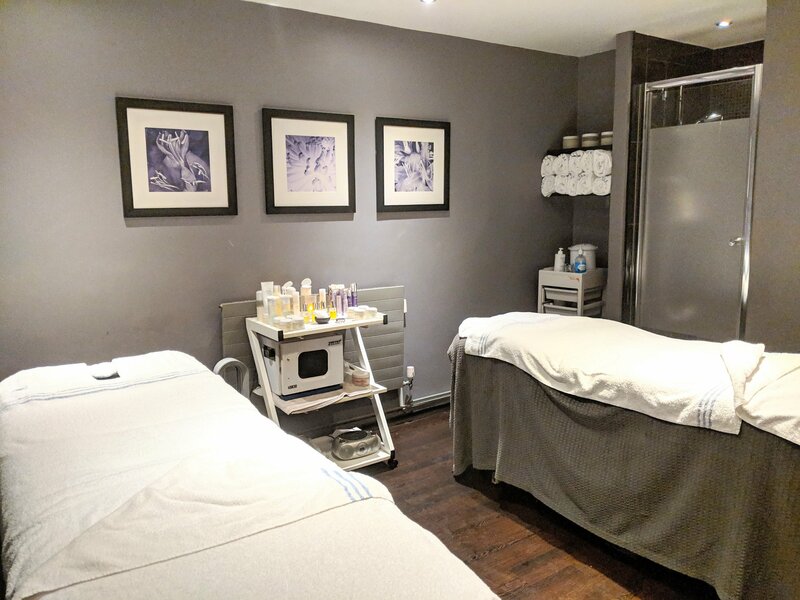 The pedicure itself wasn’t particularly relaxing, but the atmosphere in the room was, and I was still feeling relaxed from my prior treatments. The point of this though I guess, is that I got to enjoy some special time bonding with my mum. Overall, we had a very relaxing day and we both left, feeling happy and calm. Whilst I wouldn’t return to the Village Spa in Swindon again, I would most definitely choose a spa day with Buyagift again. Any excuse for a nice pamper session with my mum! This is the sort of gift you can give for mothers day, birthdays, valentines day, or just for an excuse to treat yourself. You can see more about this experiment on Buyagift’s spa wars. 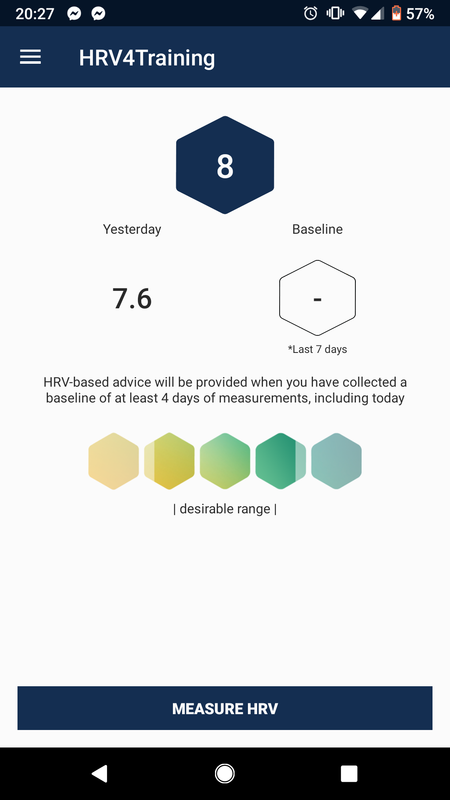 I was gifted the HRV4 Training app and a spa day for two, by the lovely team at Buyagift. I was not paid for writing this post and all words and opinions are completely honest and entirely my own. This entry was posted in Parenting, Working parent and tagged buyagift, mothers day, mum stress, social experiment, spa day, stress test. Bookmark the permalink. Nice talk about the stresses of motherhood! thanks for sharing.